1 A ball of fire is seen following an Israeli air strike in Rafah, in the southern Gaza Strip. Israeli warplanes kept up deadly raids on Gaza but failed to stop Palestinian militants firing rockets across the border, as the U.S. offered to help negotiate a truce. 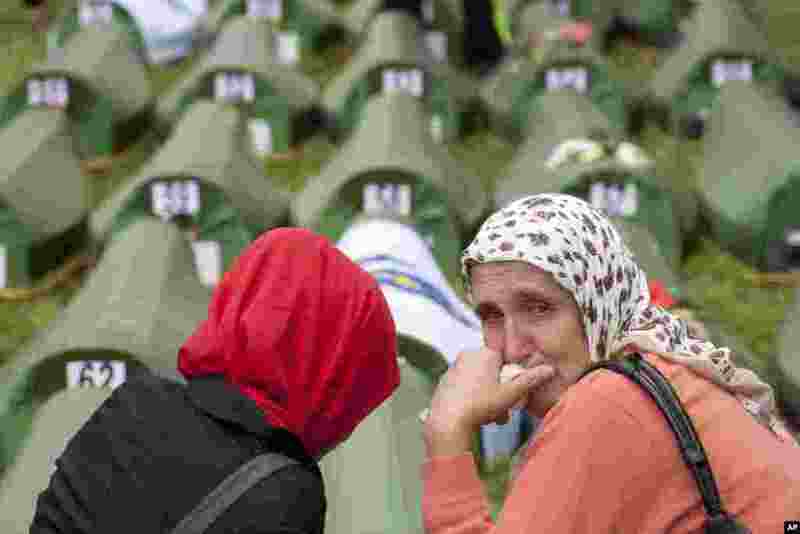 2 A Bosnian Muslim woman cries near coffins during a memorial ceremony and funeral in Srebrenica. Thousands of people gathered at the Potocari Memorial Center to remember the 175 victims of Europe's worst massacre since World War II. 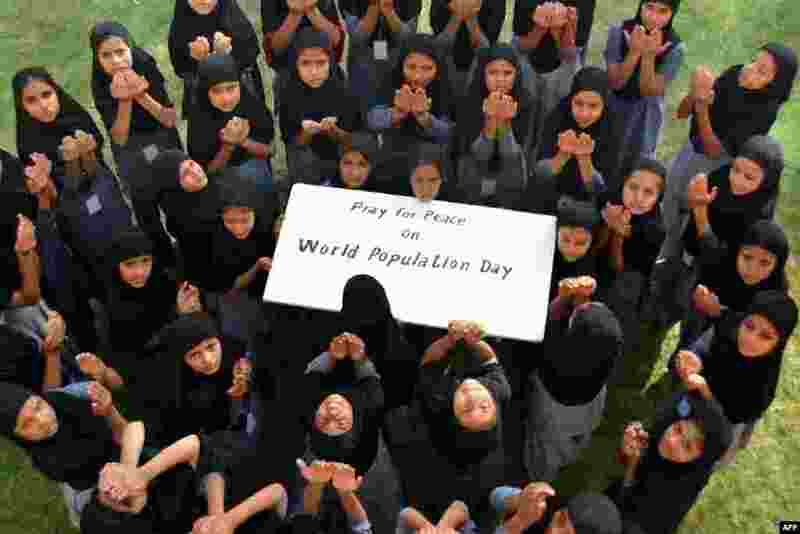 3 Muslim schoolgirls pose as they pray for 'World Peace' on 'World Population Day' in Jodhpur, India. World Population Day, which was established by the U.N. Development Program in 1989, is observed annually to raise awareness of global population issues. 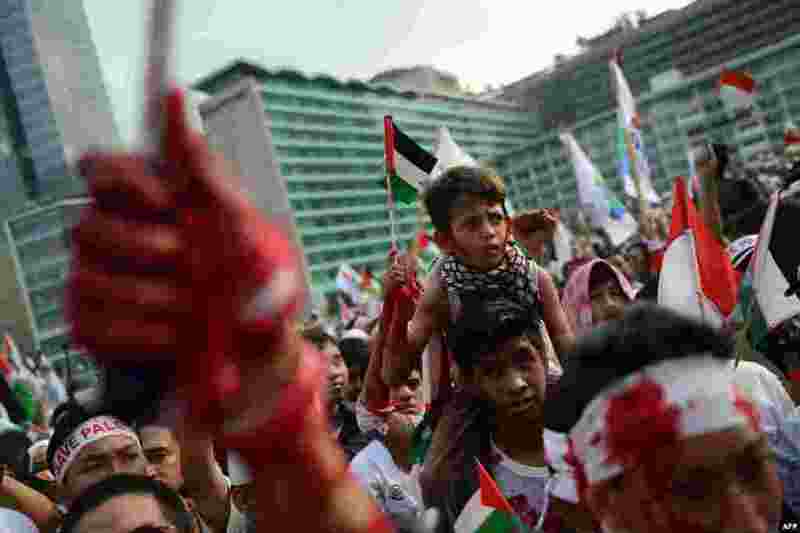 4 Indonesian demonstrators, some splashed with red paint, stage a huge pro-Palestinian rally in Jakarta condemning Israel's offensive in Gaza.